Apple announced its CEO Steve Jobs is taking another medical leave, but if you are looking for any further details on his health, you are probably going to have to stick to the blogosphere which tends to speculate on rumors and not facts. Apple is done telling the facts and are not legally required to say anything more about the matter. Jobs had a neuroendocrine tumor removed in 2004. He has a rare and very treatable form of pancreatic cancer, but never said if it had spread to lymph nodes or how extensive his surgery was. The Associated Press put together a legal question and answer that looked into the technical reasons behind the limited disclosure. The article points out that Apple is not the only company to deal with top brass and a medical crisis. Q: What are companies required to tell about an executive's health? A: The short answer is nothing, unless the illness hampers the executive's ability to work. Then it would be considered "material information," which must be disclosed under the Securities and Exchange Commission's rules. Even then, companies don't have to explain what is wrong. All Apple said was that Jobs was taking medical leave to focus on his health, he would remain CEO and he would be involved in the major strategic decisions for the company. No other specifics were given. "He is a very revered leader, and I think the public wants to know as much as possible," says Karen Brenner, a professor at New York University's Leonard N. Stern School of Business. "But other than understanding how his availability is going to be altered, there is not much more he needs to disclose at this time." Q: What is meant by "material information?" A: The SEC requires companies to disclose information that would affect an investor's decision to buy or sell a stock. That includes information regarding corporate earnings, mergers and acquisitions, new products and contracts, changes in auditors, bankruptcies and events relating to investments in a company, including dividends and stock-repurchase plans. Companies must also disclose information relating to their top executives, including compensation, stock ownership, securities transactions and biographical data. Beyond that, companies must disclose to the public when a CEO retires, dies or leaves a company. That is why Apple had to acknowledge that Jobs was taking a medical leave of absence. Q: Do the SEC rules lay out exactly what circumstances need to be disclosed regarding an executive's health? treatable hormone imbalance. Nine days later, he announced he was going on a leave of absence for six months. Then in June of that year, The Wall Street Journal, not Apple, revealed he had a liver transplant two months earlier. "They've taken the approach this year that they aren't going to say anything beyond the minimum that meets their legal compliance," Sonnenfeld says. Q: Who gets to decide if corporate disclosures are good enough? A: It is up to the SEC to monitor whether companies make proper disclosures. 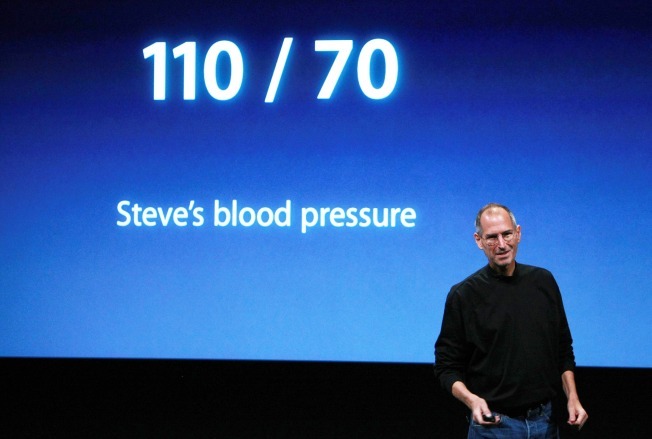 Q: Isn't Jobs' health something Apple's investors accept when they buy the stock? A: Not necessarily, Elson says. Investors who bought the stock since the cancer was first disclosed in 2004 had to consider his health. But Elson points out that Apple may have investors who bought the stock long before that. Elson also says that the reason for disclosure rules is to make sure material information is ``fully and fairly'' disseminated. "We don't want there to be exceptions to the rules for individual companies,'' Elson says. ``The American (regulatory) system requires disclosure on the part of everyone." Even though Apple doesn't have to disclose more, shareholders might respond positively to an increase in transparency. "It can be in your best interest to disclose more, because then it gives shareholders less opportunity to guess," says Frank Butler, a professor of management at the University of Tennessee at Chattanooga and co-author of the recent academic paper, "When the CEO is Ill, Keeping Quiet or Going Public." Q: How have investors reacted to Apple's news and lack of it? capitalization is now second only to Exxon Mobil Corp. among public U.S. companies. Q: Are other companies currently dealing with the disclosure of health issues differently? insurance giant, which is owned largely by the U.S. government, disclosed in October that CEO Robert Benmosche had cancer. The company did not say what kind of cancer but said he was undergoing chemotherapy. It also said he was continuing a normal schedule. Two days after the announcement, the company said it was reviewing its succession plan in case his status changes. It said that the chairman of the board, Steve Miller, would become interim CEO until a long-term replacement was named if that action becomes necessary. "AIG made a nice step forward with its disclosure," says Perryman, who co-authored the paper on CEO illness disclosures with Butler. By contrast, Sara Lee Corp. took an approach more akin to Apple's. Last May, Sara Lee announced CEO Brenda Barnes was taking a temporary medical leave, but it didn't say for another month that she had a stroke. The leave became permanent in August. McDonald's Corp. lost two consecutive CEOs within a year. The first, Jim Cantalupo, died suddenly in April 2004 from a heart attack, which the company disclosed. Three weeks later, the company disclosed that his successor, Charlie Bell, had cancer and underwent surgery. McDonald's said that Bell was unaware of the cancer when he was named CEO. Over the next eight months, McDonald's made additional disclosures about Bell's health. Bell died in January 2005.